NORTH CAROLINA – The long wait is finally over for Saeed Abedini, the 35-year-old American pastor imprisoned in Iran, when the plane he was traveling in, touched down on U.S. soil Jan. 22 at a North Carolina airport, and he was able to wrap his arms around his parents and sister. 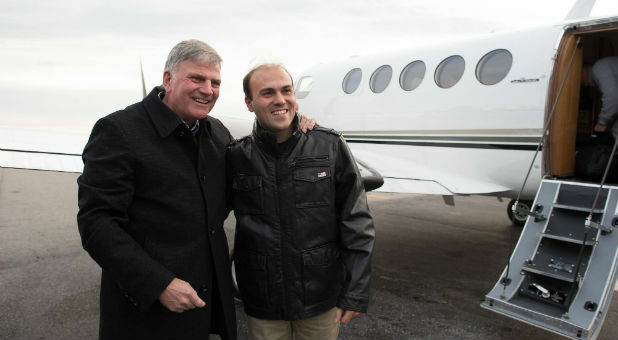 A huge smile spread across Abedini’s when he deplaned and was warmly greeted by his family, and also Franklin Graham, son of evangelist Billy Graham, after spending more than three traumatic years in jail in Iran for his Christian faith. Iran-born Abedini, who converted from Islam to Christianity, had traveled to Iran in 2012 on a mission to build an orphanage. But he was detained in July 2012 on charges of evangelizing and sentenced to eight years in prison. Abedini was freed from the Iranian prison along with three other Americans last week. The release was part of a prisoner exchange between the United States and Iran. Besides Abedini, the Iranians also released Washington Post reporter Jason Rezaian; Amir Hekmati, a former Marine from Flint, Mich.; Nosratallah Khosravi-Roodsari, a businessman; and Matthew Trevitthick, a student. “Pastor Saeed Abedini is safely back and will be a guest at the Billy Graham Training Center at The Cove [the 1,200-acre retreat center in the N.C. mountains] in Asheville, N.C., as he re-acclimates and spends time with his family,” Graham shared on Facebook on Jan. 22. CBN News reported that Saeed’s attorneys said the charge also stemmed from his prior involvement with Christian house churches in Iran. Until his flight back to the United States, Saeed Abedini had been in Germany undergoing medical evaluation at a U.S. military hospital. “During his imprisonment… he was beaten, threatened, suffered internal injuries, denied medical treatment and was separated from his wife and two children,” added CBN News. His wife, Naghmeh, 38, who fought tireless for him, has announced that she and their two children, Jacob and Rebekka, will joining him at the The Cove on Jan. 25. Naghmeh added that she will continue working to promote religious freedom and bring attention to Christian persecution. Meanwhile, Saeed has been speaking out about what it’s been like for him to finally be free. The ACLJ (http://aclj.org), has worked on Saeed’s behalf to advocate for his freedom since he was thrown in prison by the Iranian regime, who many believe had doubled-crossed him by initially telling him that he could return to the land of his birth to help set up an orphanage. But then, after crossing the border from Turkey, they promptly arrested him, and he was later sentenced to eight years’ imprisonment on charges of evangelizing. Photo credits: Top, Saeed Abedini is greeted in North Carolina by his mother as his father and sister look on. Bottom, Franklin Graham, left, with Saeed Abedini. Internet ministry Jesus.net Japan is partnering with the Billy Graham Evangelistic Association, Samaritan’s Purse, Campus Crusade, and author Philip Yancey to help lead them to start a relationship with God and make a connection with local churches. 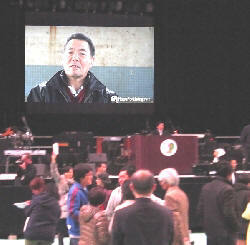 Jesus.Net Japan's Hope for Living video plays during the Billy Graham Evangelistic Association's "Celebration of Hope" event held recently in Tohoku, Japan. evangelistic websites in more than 20 languages worldwide. Jesus.net recently was awarded the National Religious Broadcasters’ “Innovation Award” for its global, cutting-edge evangelism strategy. The U.S. entity and English information source for the ministry is Jesus Net Japan (www.jesusnetjapan.org ). In anticipation of the one-year anniversary of the disaster, Jesus.net Japan partnered with the Billy Graham Evangelistic Association for its “Celebration of Hope” event in Tohuku and will support Philip Yancey’s speaking tour in Northern Japan March 7-11. It also will be involved in four BGEA events in Japan in 2013. Other partners include Samaritan’s Purse (www.samaritanspurse.org ), Campus Crusade for Christ (www.ccci.org ) and CRASH Japan (www.crashjapan.com ). According to ABC News, 2 million people around the world “look for God each day” online, said Zebley. Searches are on topics about the supernatural or on the big questions about life and the future. “We want to give people an opportunity to get answers and hope where they spend a lot of time – on the Internet – and connect them with other Japanese who have satisfied the longings of their hearts in Jesus,” he said. 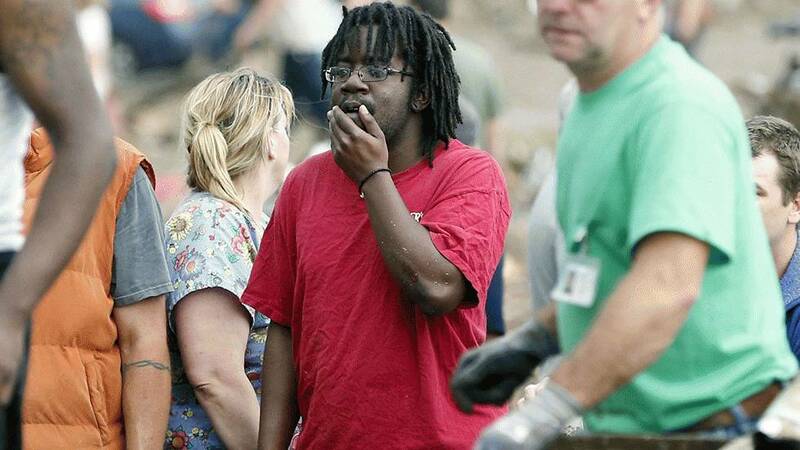 Jesus.net Japan’s initial web site, Hope for Living (www.hopeforliving.net ) introduces visitors to survivors of earlier quakes or other traumatic experiences. Their stories illustrate how they have been strengthened by faith in God, or how they got to know Jesus in the midst of their turmoil. The site also contains prayers and words of hope to encourage those who are afraid, tired, lonely or going through difficult times. As the one-year anniversary of the quake approaches, Jesus.net Japan is planning more ways to reach out to the Japanese people, including a special series of Hope for Living stories from the stricken region, filmed with the help of Samaritan’s Purse. Jesus.net Japan is a part of Jesus.net (www.Jesus.net ), a worldwide movement of more than 40 national and international ministries who partner together to create a network of online websites and tools to assist and support online searchers in their spiritual search.